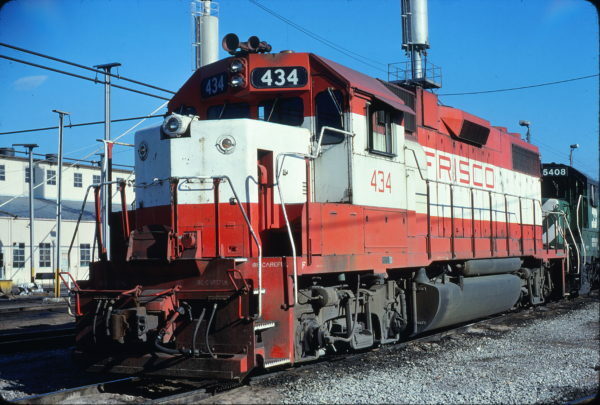 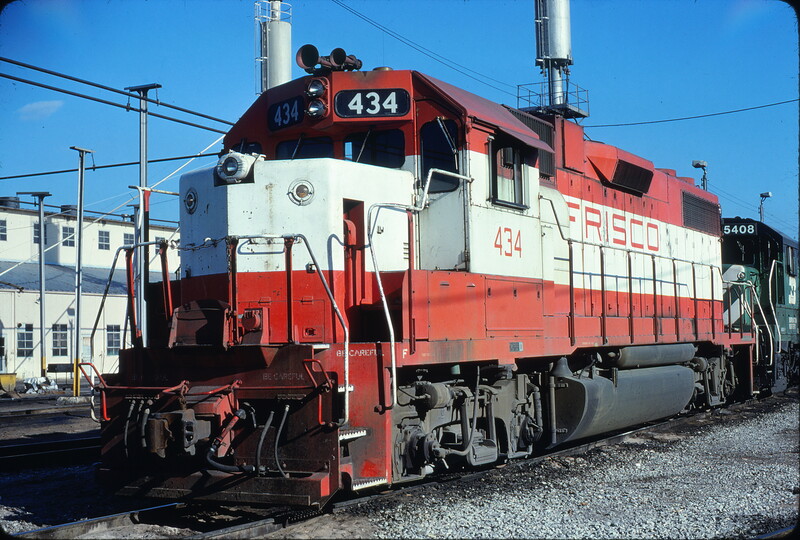 GP38-2 434 at Memphis, Tennessee in February 1981 (Lon Coone). 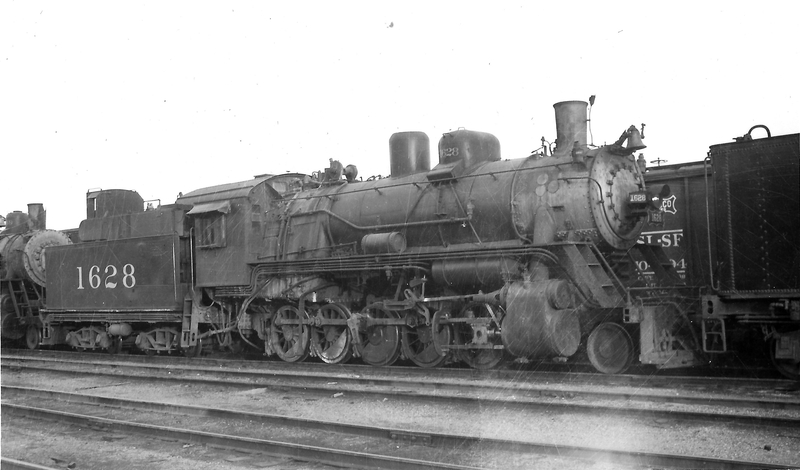 2-10-0 1628 at Springfield, Missouri on March 5, 1949 (Arthur B. Johnson). 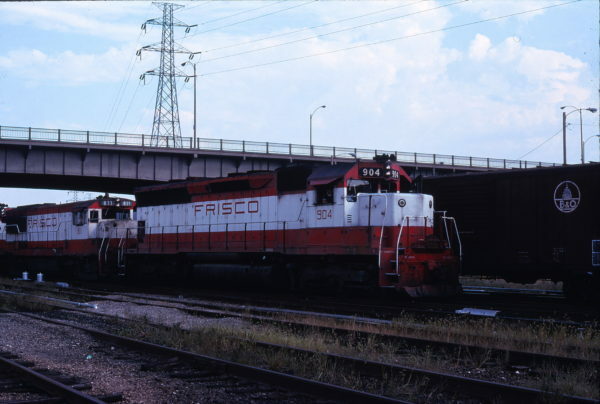 SD45 904 and U25B 811 at St. Louis, Missouri on September 16, 1978. 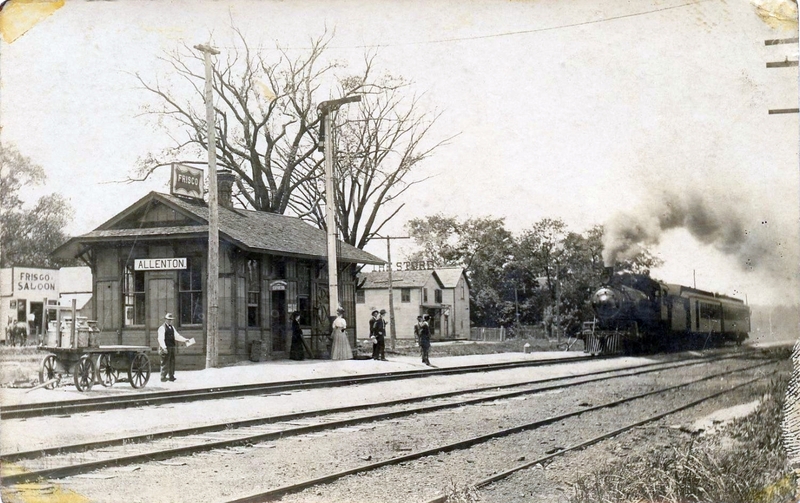 Allenton, Missouri Depot (date unknown). GP38AC 648 at Enid, Oklahoma in January 1981. 4-6-0 632 at Springfield, Missouri on June 1, 1950 (Arthur B. Johnson). E8A 2020 (Formerly Big Red) at Springfield, Missouri on December 23, 1967. 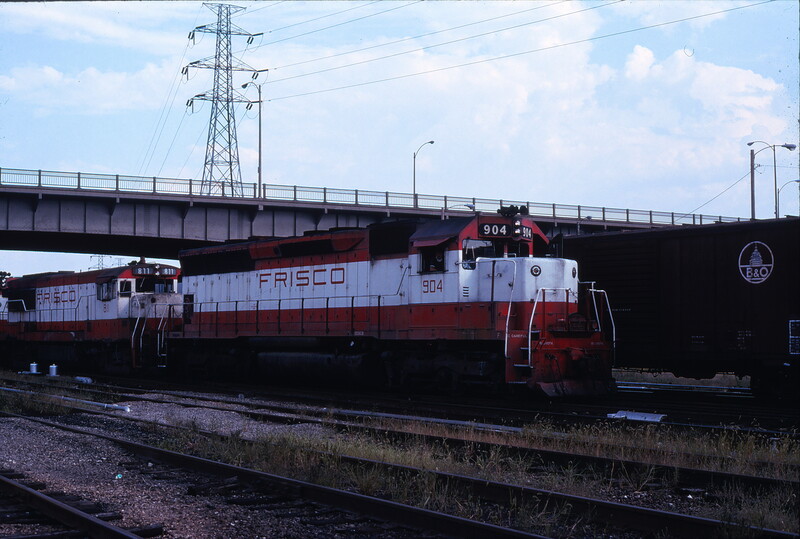 GP40-2 756 at Kansas city, Missouri on August 30, 1980 (R. Bee). 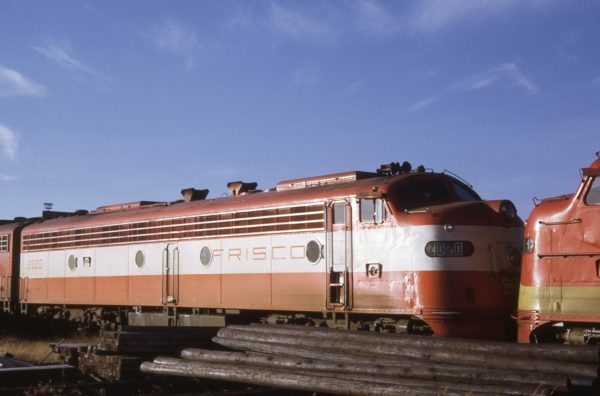 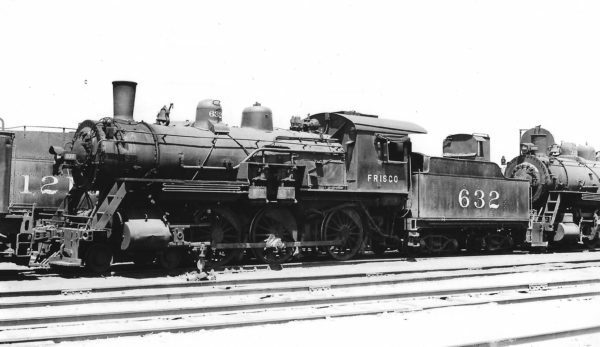 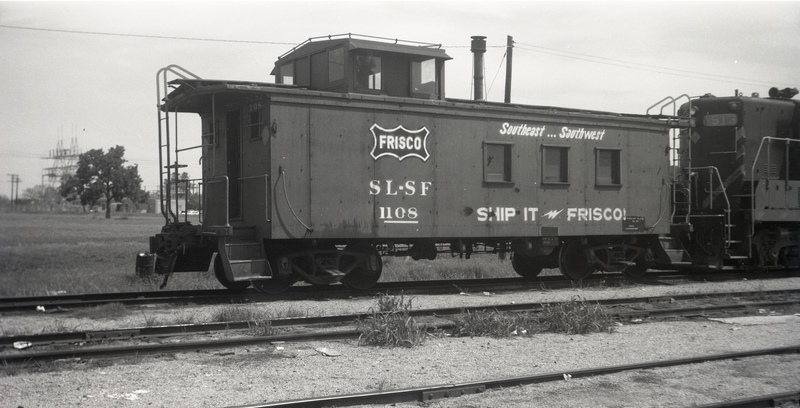 The locomotives are in the Frisco’s 19th Street Yard. 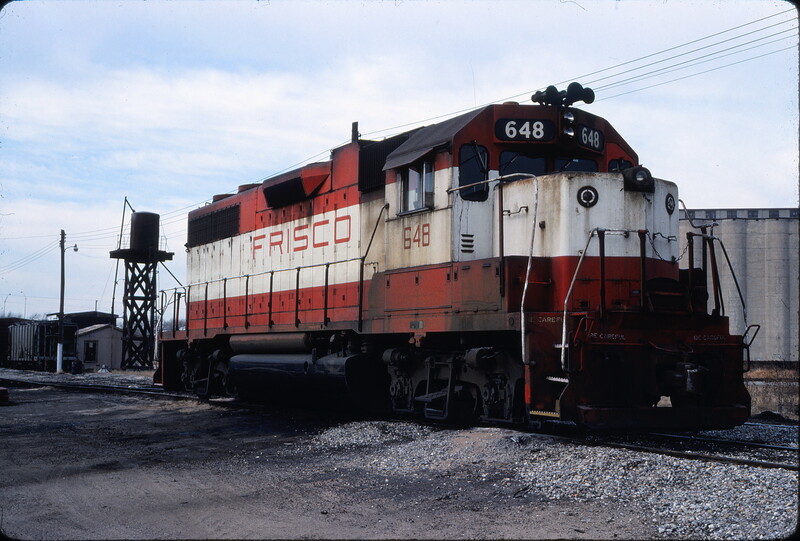 This is in the West Bottoms area near the confluence of the Kansas River as it flows into the Missouri River. 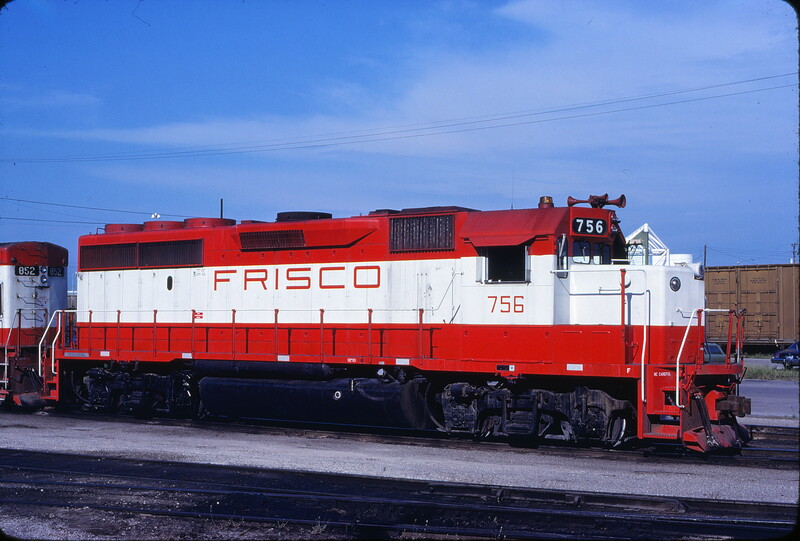 In the distance above the nose of SLSF 756 is the distinctive roof support system of Kemper Arena. Included in this view the rear of Frisco U30B 852. The locomotives are sitting on the locomotive ready tracks southwest of and adjacent to the locomotive service tracks and diesel shop. 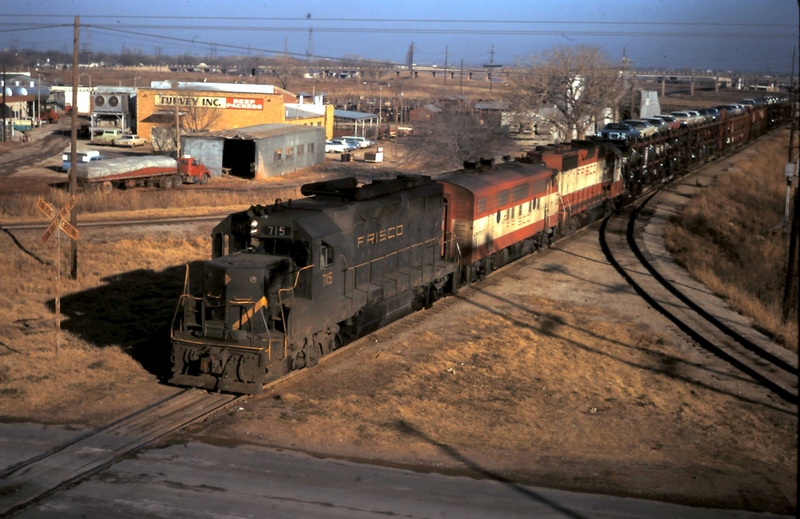 The view is looking Southwest.